Unawatuna should be renamed to ‘Hakuna Matata’! This coastal village on Sri Lanka’s south-west coast has to be one of the most beautiful places I have come across and indeed I felt as if there were ‘no worries’. The local buses are by far the cheapest and most convenient means of transport between destinations in Sri Lanka. I took a bus from Hikkaduwa to Unawatuna Beach which took around one hour and the cost was 50 Rupees. The buses are clearly labelled in English on the front windscreen of the location they are headed. Make sure you hold on tight because these bus drivers are the craziest drivers I have ever seen. If getting off the beaten path is your thing, then I know just the spot for you! 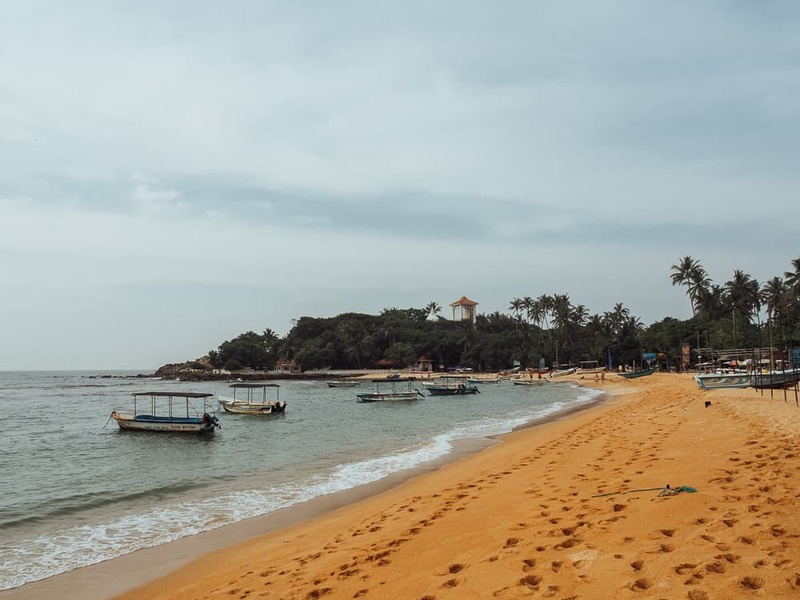 Make your way over to Jungle Beach Unawatuna on foot, which is on the opposite side of the headland from Unawatuna Beach. There is a dirt trail that leads you towards Jungle Beach Unawatuna. You will come across a fork in the trail, the trail to the north is an easy walk through the bush and over to the other side of the headland emerging at Jungle Beach Unawatuna. The second trail will take you down to some small, rocky cliffs on the seaside. This is the off beaten path I was talking about. From here you can scale around the boulders and over rock pools, eventually emerging at Jungle Beach Unawatuna. 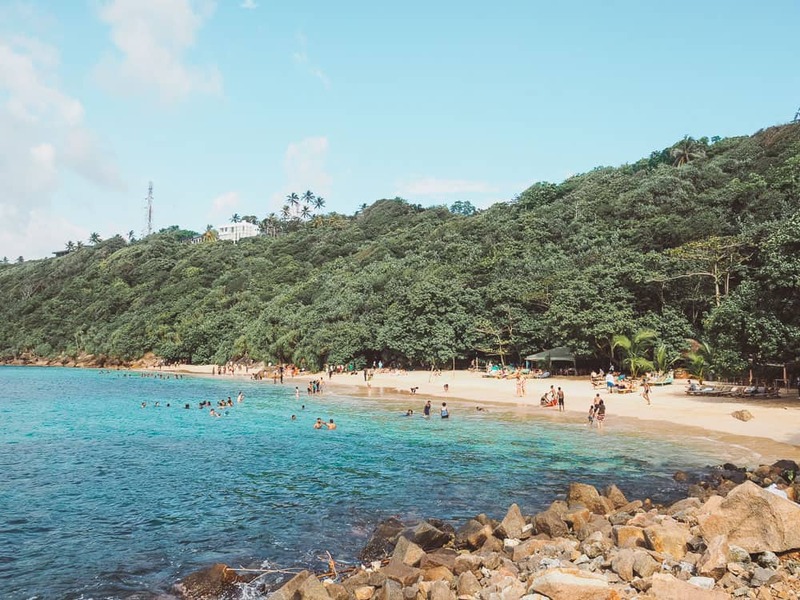 The tucked away Jungle Beach Unawatuna is a great spot for a swim and one of the best things to do in Unawatuna. There is also a bar and restaurant on the sand under the palms to enjoy some food and drinks! Direct your gaze up on top of the headland and you will spot a big white sculpture, standing tall above the trees, that is in the shape of a bell. This is, in fact, the famous Japanese Peace Pagoda in Unawatuna. A Buddhist stupa to inspire peace among all races. There is no entrance fee to visit the Japanese Peace Pagoda, though please be respectful, wear suitable clothing and take off your shoes when wandering around the sacred site. Tip: If you visit here in the late afternoon you will be blessed with an amazing view for sunset. 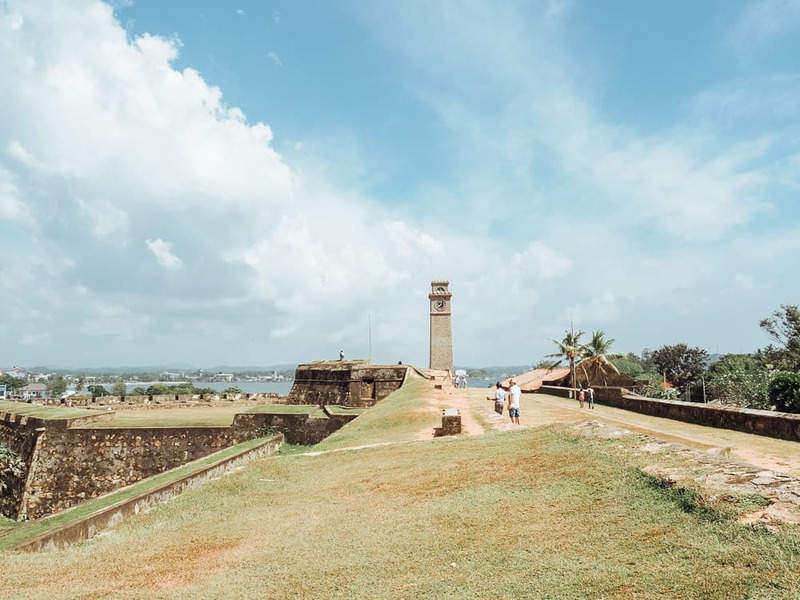 Take a day trip to Galle to visit the old Dutch Fort which is now a UNESCO World Heritage Site. The Galle Fort is a historical, archaeological and architectural heritage monument. The Galle Fort even withstood the 2004 boxing day tsunami. Galle is located 15-minutes north of Unawatuna Bech. The best way to get to Galle Fort is to jump in a tuk-tuk or rent a scooter for in Unawatuna for approximately 1000 Rupees per day. On the outer walls of Galle Fort is the Galle Lighthouse. Discover the old lighthouse down by the water which is surrounded by palm trees and beautiful beaches. 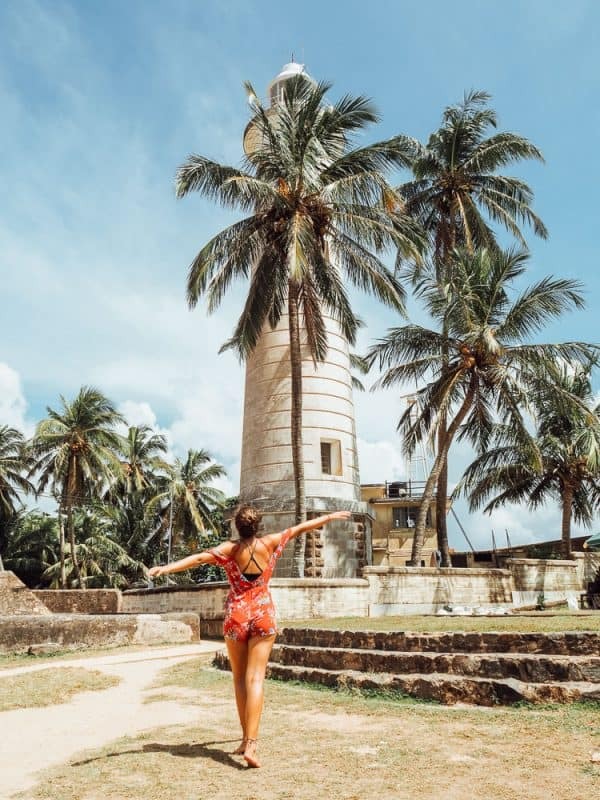 The Galle Lighthouse is another great viewpoint for sunset and one of my favourite things to do in Unawatuna. 2km south of Unawatuna Beach is Dalawella Beach. This spot is up there where with one of the most beautiful stretches of beach I have been to. A palm tree oasis, golden sands and electric blue water await, so be sure to add it to your list of things to do in Unawatuna! 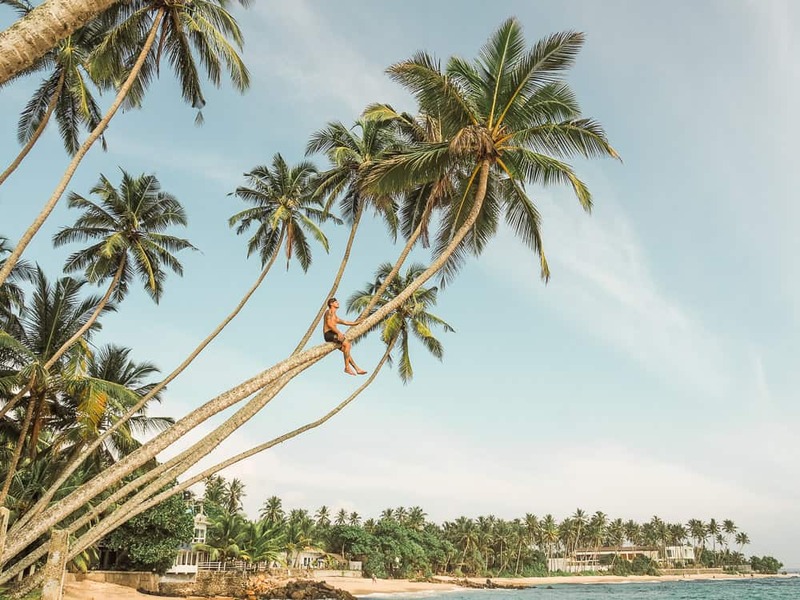 This is also where you can find the Instafamous Palm Tree Rope Swing on Dalawella Beach. 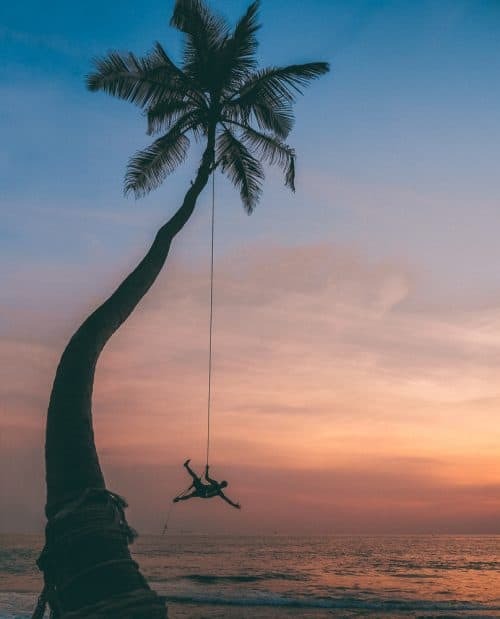 This palm tree rope swing blew up on Instagram and it is now why some people are coming to Sri Lanka just to have a turn! Click HERE to see the full blog post of Dalawella Beach Palm Tree Rope Swing. Cafe’s and seaside restaurants fill up the seaside town of Unawatuna. 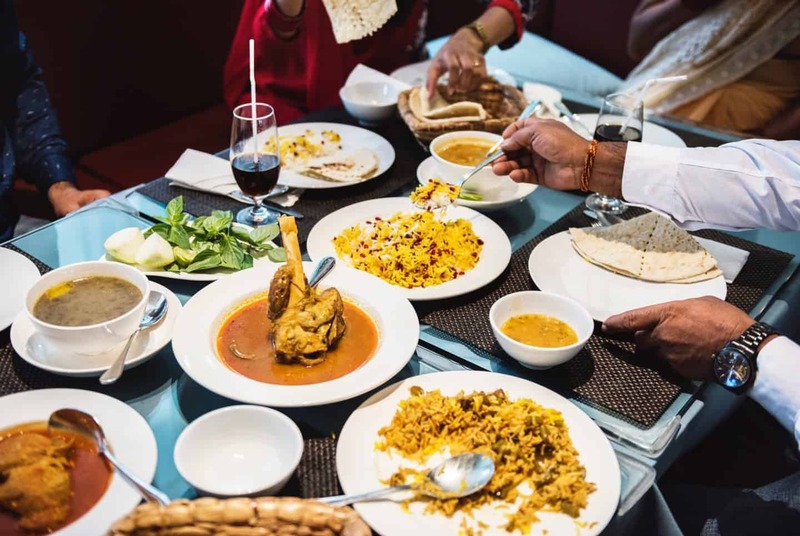 During high season, December – March, the prices for food and drinks are around 1000 Rupees ($10) for a meal and 500 Rupees ($5) for a beer. If you are a budget traveller like myself and want to spend 250 Rupees ($2.50) on a meal, try one of the local street food vendors and order a plate of Kottu Roti. A traditional Sri Lankan dish with roti, vegetables, egg and spices. It is considered the equivalent of a hamburger, in terms of popularity and a personal favourite of mine. 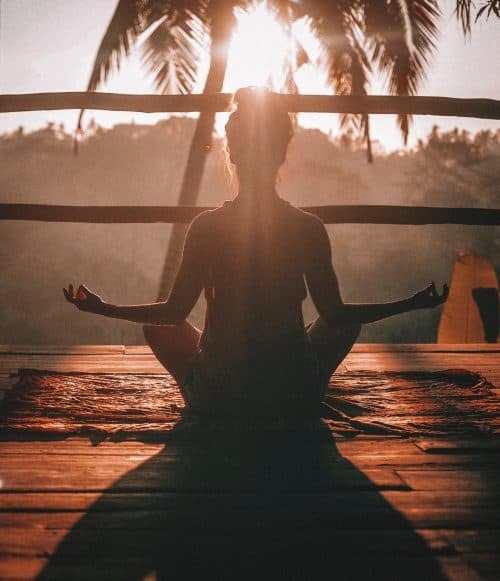 Unawatuna has a number of Yoga studios for those Yogi’s out there and also for people who have never tried yoga and are willing to give it a go. Daily yoga classes are available at Thambapanni Retreat, Yoga With Asiri, Sri Yoga Shala and The Secret Garden Dome. 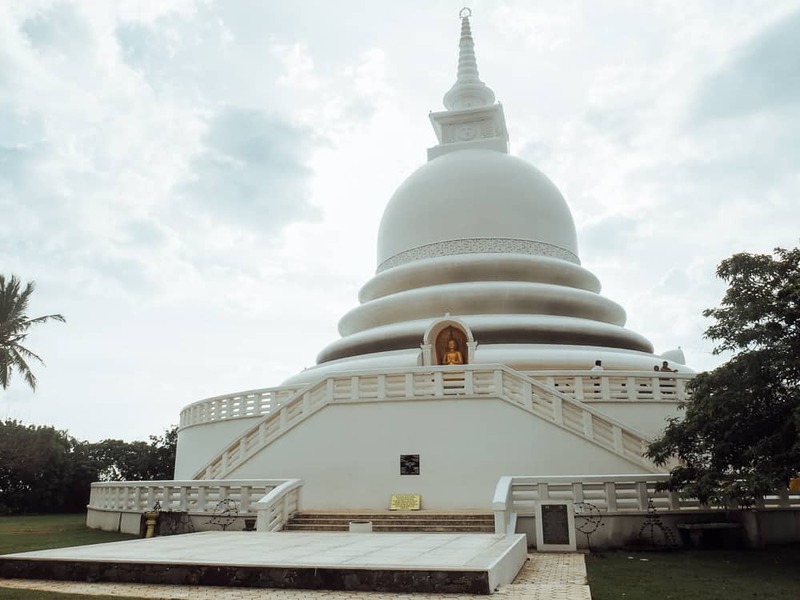 I attended a yoga class at The Secret Garden Dome and it was one of my favourite things to do in Unawatuna to relax and unwind after a few days of adventuring. Yatagala Rajamaha Viharayais about 4kms east of Unawatuna. A 2300-year-old Buddhist place of worship. The temple is made up of 4 huge granite boulders that create a natural cave that is used as a meditation hall. Newer developments include a peace pagoda stupa and a giant Buddha statue. 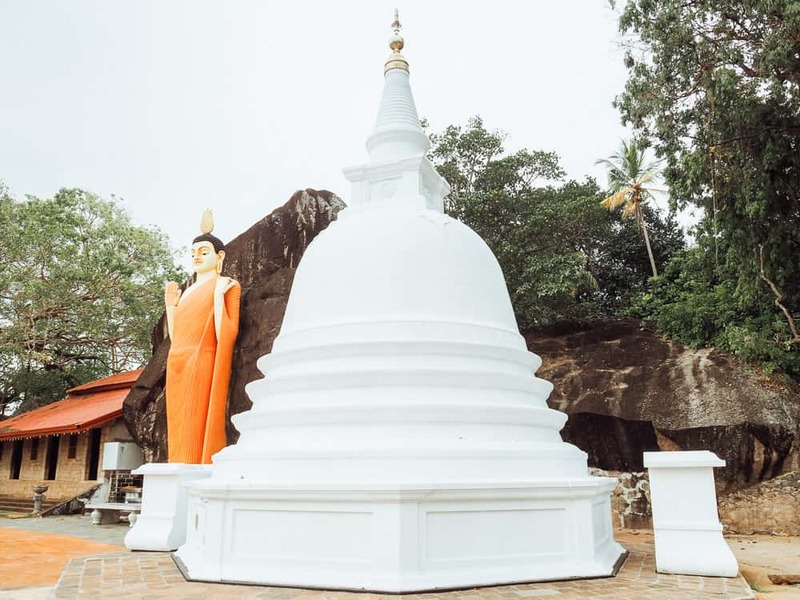 I spent one-hour exploring the Yatagala Temple and it is not to be missed on your list of things to do in Unawatuna. 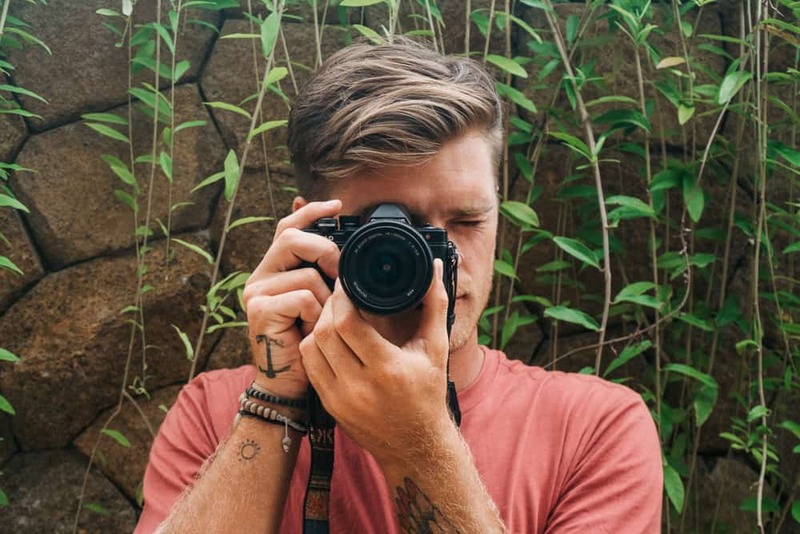 Travelling around Sri Lanka? You may want to see my detailed Sri Lanka Travel Guide below to help you plan your trip! 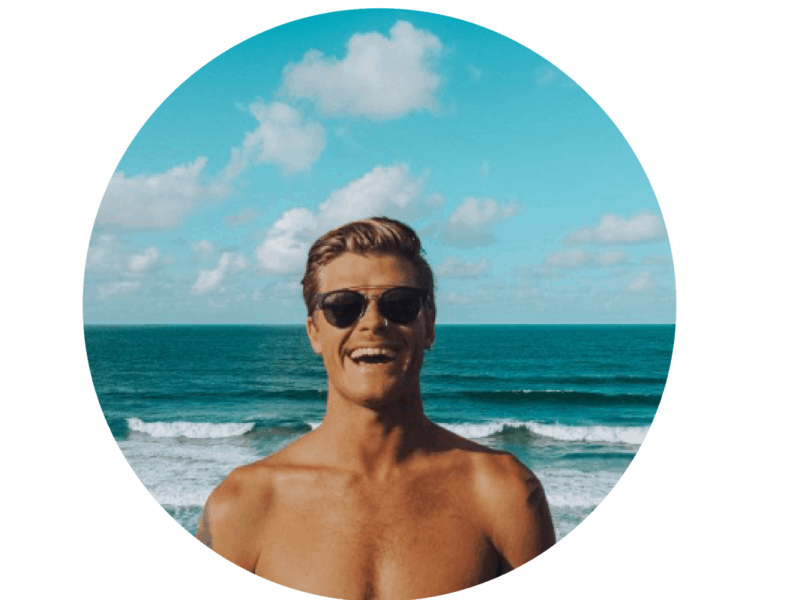 I hope you enjoyed this article and please feel free to leave any comments below if you have any questions about things to do in Unawatuna!